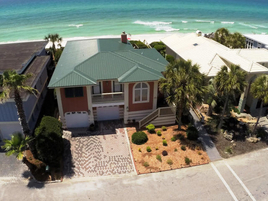 Welcome to Sun Sand & Sea Beach Realty, Sun Sand & Sea 30-A Beach Realty, and Welcome to the Emerald Coast and to the Most Beautiful Beaches in the World! Browse our pages, enjoy the tour, and let us help you find your place in the sun! We'll help make your sale or purchase as enjoyable as a warm summer breeze! In South Walton, we serve all of 30-A, including the communities of Seaside, Rosemary Beach, Seacrest, Seagrove Beach, Blue Mountain Beach, Grayton Beach, Dune Allen, Gulf Place, Inlet Beach, Watercolor, Watersound, White Cliffs, The Retreat, and all the other developments between Lake Powell and Destin! On Panama City Beach we sell in all of the major residential communities such as Carillon, Wild Heron, Sunnyside, Laguna Beach, Tapestry Park, Breakfast Point, Palm Bay, Santa Monica Beach, Bid-a-Wee Beach, Open Sands, Long Beach, Palmetto Trace, Grand Lagoon, Bay Point and all the other properties and developments from Lake Powell to St. Andrews Bay! With $200 million in sales in the last 10 years, and over 65 years combined experience here on the Emerald Coast and Worlds most Beautiful Beaches, our Brokers and Agents have the knowledge and experience to help you buy or sell with confidence. 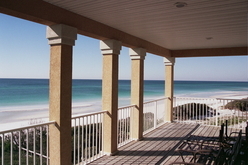 This lovely expansive home sits on a bluff overlooking the beautiful emerald beaches, the Gulf of Mexico and beyond...!! !